Goorie Vision is an Indigenous multi-media service which specialises in traditional knowledge recording, film production, photography and multi-media training, providing Aboriginal and Torres Strait Islander Australians the opportunity to tell their stories in a culturally appropriate manner, from an Indigenous perspective. Owner/Director Luke Barrowcliffe is a Butchulla man who was taught Butchulla history, culture and traditions by the late Aunty Olga Miller, the last Turramun Uwuy (Wise Women) and Caboonya (keeper of records) of their people. It’s Cowra’s turn to host the Gunni Thakun annual public showcase, Corroboree. 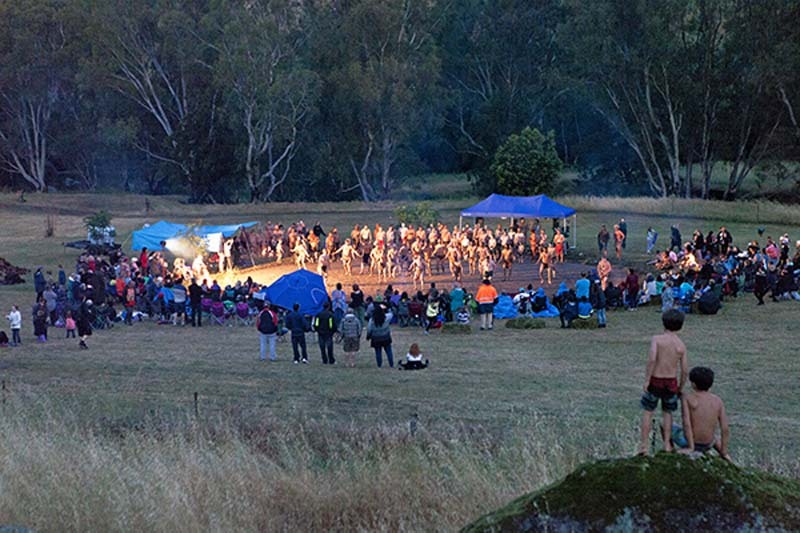 The film considers the purpose of this contemporary version of a still very traditional Corroboree and the influence and effect involvement has on the participants, the communities in which they live and their immediate and extended families. Cowra Corroboree organiser Steven Taylor and the documentary’s producer Luke Barrowcliffe will be present for a Q&A about the film.